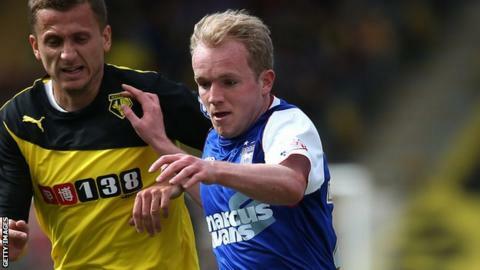 Crystal Palace midfielder Jonny Williams has returned to Ipswich Town on a 93-day loan deal. The 20-year-old scored once in 13 games for Town at the back end of last season, as Mick McCarthy's side came close to claiming a play-off spot. Williams has played four times for Palace this term, coming off the bench in two Premier League matches. The Wales international will be part of the squad for Tuesday's Championship game at Sheffield Wednesday. McCarthy, who secured his fourth successive win with victory over Rotherham at the weekend, told BBC Radio Suffolk: "I think one of his concerns when deciding where he was going to go was whether he would play, because we are playing well. "If you think we're going to sign Jonny Williams and he's going to be sat warming the bench - that's not going to happen. "Everyone watched him last year and he will give everyone a lift."